In an ideal world, “dignity doesn’t have an expiration date attached to economic productivity. It affirms the worth of personhood. It feels different from what we have” (p221). 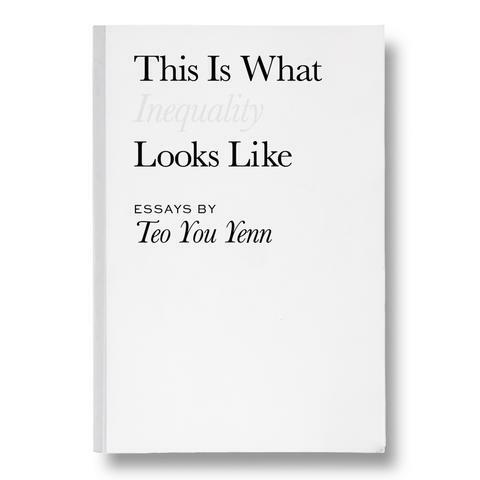 In This is What Inequality Looks Like, Teo You Yenn writes a moving collection of essays that shine the light on a reality long swept under the carpets of gleaming, green and glamourous Singapore. In the home of Crazy Rich Asians, statistics that indicate growing numbers of millionaires every year conceal the lived realities of those who fall through the cracks and are barely acknowledged. The stories on these pages are not a mere dry academic dissertation on poverty. Teo writes candidly accessible tales of real people and relationships, encountered and made familiar over years of academic fieldwork. It is her long study and thorough understanding of the policies and institutional systems that compound the difficulties of these lower-income citizens that make this book a powerful commentary. While she lays bare the processes that prevent many of them from moving out of the cycle of poverty, she appeals for awareness, and even empathy—as much needs to be done to review and revise some of the structures that trap the lowest segments of the population into immobility. Sometimes it is the most basic and subtle of differences that have the most impact. Teo describes the run-down clusters of rental units she spent many hours visiting, hidden between internationally-acclaimed high-rise government apartments, yet a world apart. She describes them as zones “marked not only by the visual but also something quite primal and physical” (p46). She does not mean to ghettoise these homes, but she pinpoints for the reader the details that make the difference: the ubiquitous presence of police and narcotics officers, as well as loan shark and crime notices. She draws a sharp comparison between this oppressive negativity and the cheerful ambience and positive messaging of owner-occupied blocks—just one example of what inequality looks like. Teo makes it clear that members of Singapore’s bottom percentiles are not tucked away and alienated from the island’s daily hustle and bustle. But they are made invisible by the roles that they play and denied a presence by wilful or unintentional blindness on the part of many who benefit from their services. “Low-income persons are in reality highly present in most Singaporean’s everyday lives… when we say we cannot see poverty in Singapore, it is partly because its manifestations are masked and partly because we do not look” (pp192–193). Working among every other Singaporean are those for whom a rental unit is a step up from homelessness; where the “typical” trajectory of finishing school, getting married, buying a home and having children (p80) is either out of reach or follows a different order. “Normalcy” is defined by the mainstream majority. The neighbourhood and lived reality of those who can just barely afford to rent are a world far beyond the imagination (if at all contemplated) by the average Singaporean—and deemed “inferior” and “problematic” (p29). Through Teo we experience the warmth, generosity and hospitality of low income families who genuinely come together to help each other in the most difficult of times, whose kindness to those who have less than themselves belie the struggles that they face. This community is common in other parts of grossly poor Southeast Asia, and a stark contrast to hollow top-down orchestrations to engender a kampung (village) collective in many owner-occupied constituencies. Teo shows us that the mainstream caricature of those who “deviate” from societal “norms” are far from accurate. These communities that she has grown to appreciate comprise hard-working, self-reliant, family-centric citizens that not only actively contribute to Singapore’s economy but constantly strive to improve their lot in life. Beyond the link between poverty and inequality, Teo deftly weaves in the importance of dignity and illustrates how there is a distinct lack of social justice in the treatment of the very poor where “every day is a struggle with (in)dignity” (p194). The problem of poverty in Singapore should not be one “of the ‘other’” (p250). The narrative that their issues are “are an exception” (p196) needs to be disrupted so that the search for solutions becomes a national effort. It should be a quest bred on a sense of responsibility and morality; of helping one of our own—simply because we can. In a poignant concluding chapter, Teo peels back the layers of a wound as she recollects the reactions to her work over the years. Responses ranged from those who are surprised that poverty exists in swanky Singapore, to those who trivialise the plight of the people she describes, or deny their existence. More tellingly is the reaction of one particular audience member who chastises her for publicly going against the great “Singapore Story” and “airing dirty laundry” to an international audience. This chapter (p225) exemplifies the narratives and blind spots that we have perpetuated both to the world and ourselves. Nationalistic tendencies and the discomfort of discussing the ugly realities of those who have always remained hidden need to be overcome. Perceptions attributed to petty folk beliefs of “race”, which are discussed in an additional epilogue, need to be discarded. To be fair, the discussion of inequality has been all the rage in Singapore recently. In May 2018, a Channel News Asia documentary hosted by a member of parliament, Regardless of Class, examined Singapore’s social divisions but was met and countered by netizens and online portals for its lack of the sort of analysis that Teo lays out in her book. Another MP referenced her book in an opinion piece on the government’s promotion of self-reliance—a topic that Teo herself dissects and illustrates as she chronicles the lives of those who do everything they can to not ask for help. Teo points out that this is because of the futility these families face in their appeals for assistance, and how the process erases any last shreds of dignity that they held. If nothing else, then, Teo’s book has already succeeded in taking the debate on inequality in Singapore out from behind closed doors. In response to Oxfam International’s Commitment to Reducing Inequality Index, released in October 2018 (where Singapore was placed at number 149 out of 157 countries) a number of ministers were quick to point out the outcomes achieved by the city-state. These include 90% home ownership, high life expectancy, and extremely low infant mortality. In a post-National Day dialogue, Singapore’s prime minister brought up the issue of social mobility, also eloquently expounded on by Teo in her book. Most recently, another online news portal published a feature on a number of young people who were able to escape and overcome the difficulties of growing up in the lowest strata of Singaporean society. While the national response (whether explicit or implicit) to Teo’s work has been varied, it is clear that she has made a point in the corridors of power. As she closes her book, Teo invites her readers to consider how their lives can be understood from the perspectives that she has presented. She asks that the middle and upper class majority in Singapore understand the consequences of their decisions and actions and how they inadvertently enhance the inequality and indignity faced by some fellow citizens. For me personally, this book is a breath of fresh air that resonates vividly with my experiences across the border in poor rural Malaysian communities. At a recent conference I attended, a scholar mentioned that while Singapore leads ASEAN this year, the rest of the region seems to look at the island with some disdain. Teo’s revelation of a rough underbelly makes the nation seem more “normal” in the eyes of the region. Smudges in the sparkling sheen that Singapore tries to portray may oddly endear it to the rest of Southeast Asia, as it is turns out that the island-state is not very different after all. This is What Inequality Looks Like has clearly raised the blinds on a topic once hidden far out of sight. It is a book that needs to be read by all Singaporeans. Conventional tropes of meritocracy and social mobility need to be examined with a critical yet empathetic eye. 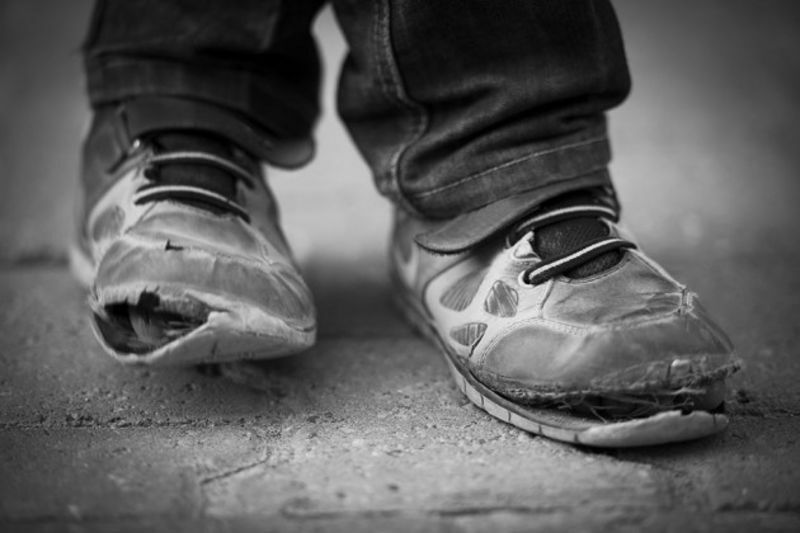 The poorest citizens of the nation need to be embraced into the mainstream and their struggles surfaced as national priorities. Only then can Singapore truly declare itself a first world nation. In the meantime, as Teo robustly concludes, we need to harness the values, beliefs, habits and aspirations that she believes exists within us as a nation to ensure that inequality can be refused and dignity restored. Serina Rahman is a Visiting Fellow in the Malaysia Programme at the ISEAS-Yusof Ishak Institute, Singapore, conducting research in the fields of sustainable development, environmental anthropology and the economics of the environment. Serina co-founded Kelab Alami, an organisation formed to empower a Johor fishing community through environmental education for habitat conservation and economic participation in coastal development. She received her PhD in Science from Universiti Teknologi Mara in 2014. Read her recent account of rural Malaysia post-GE14 here, and her review of Living With Myths in Singapore. Posted in Book Review, Books, civil society issues, Economics, New Mandala.org, Poverty, Social Studies, Uncategorized. Exile in Colonial Asia is a compact book, but it’s a large book in its treatment of forced migration, prisoner resettlement, and exile across the globe from East Asia to Africa. The ten essays cover people up and down the social hierarchy: rulers (kings, princes, sultans); pretenders to thrones; convicts; and a few pirates and smugglers. The life of a slave might be better than that of a prince, and a prince one day might be a rebel the next, and soon after on a ship to another part of the world. Commemoration in the subtitle means memory. To restore lives lost to the historical record, the authors pick their way through grudging source material—letters, notes, trading company documents, and lists. It’s amazing what a detective-author can resurrect from the dry lists of people and objects buried in archival records. In the period covered by the book the world was mapped not by countries but by empires: Portuguese, Dutch, British, French, Belgian, and Italian. Colonial authorities and trading companies like the Dutch East India Company (VOC), a quasi-state, removed people from their homelands and exiled them to foreign lands. The globe is criss-crossed with the movements of these people shown on maps drawn by Robert Cribb. Exile was not a peculiarly Western imperialist measure. Indigenous political systems—the Chinese and the Vietnamese, among others—also used exile and prison colonies to expand their territories. Not all the people sent into exile became alienated in their new surroundings. Some adapted by converting to a new religion, or by seizing opportunities in commerce or agriculture. From ports in the Indonesian archipelago the VOC transported prisoners to the Cape of Good Hope on the southern tip of Africa. From the French colonies in Indochina 600 prisoners were sent to Gabon on the west coast of Africa and the Congo. The French also sent prisoners from Indochina to French Guiana, New Caledonia, Madagascar, Martinique, and Guadeloupe. High-level political prisoners in the French colonies went to Algeria, Tahiti, and the Marquesas. The British sent Indian convicts to the Andaman Islands which became a penal colony after the Great Indian Revolt of 1857–58. Rebels against British rule in Ceylon were sent to Mauritius. Prisoners built and fed European empires. Convicts laboured as brick and tile makers, blacksmiths, boatmen, cart drivers and grass cutters, or were engaged in experimental industry and agriculture. Convicts worked in tin mines in Burma, and in Mauritius in silk and cotton production and the cultivation of sugar and coffee. This historical study on Asia is one of the few that sees fit to include Australia, in this case to illustrate a place that was both colony and penal settlement. In Asia proper we find ourselves in India, Lanka, Java, Singapore, the Malay world, Vietnam, and Burma. Siam is not among the case studies, because it was not colonised, but when the king of Siam visited Java in the early 1870s he saw what might become of him if the British and French decided to take away his crown and carve up his realm. He observed the sultan of Jogjakarta being marched around and guarded by troops. The Javanese sultan displayed the paraphernalia of royalty, but he was a prisoner in a gilded cage, dethroned and demoted within his own country. Native rulers could be packed off to other outposts of empire. Amangkurat III was exiled from Java to Ceylon. The last king of Kandy in Ceylon was sent to Madras. Maharaj Singh was banished from the Punjab, where he was considered a threat to colonial consolidation, and then sent to Singapore. Sultan Hamengkubuwana II of Yogyakarta was exiled to Penang after he opposed the British takeover of Java in 1811. Some exiles became submissive, some were moderate. Some became militant, some were already militant. The book is not sentimental, but exile, banishment, and forced migration are melancholy topics. 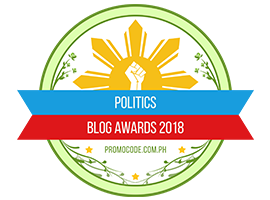 I came away empathetic not only with the individuals affected by dire circumstance but also with the authors’ struggles to salvage memories of those uprooted and sent away. Exiles pined for home, and if they were rulers they dreamed of regaining their thrones. Several authors discuss the emotional pain in the exiled life of their subjects. Anand Yang refers to his chapter as a meditation, and Ronit Ricci’s story of the return to Batavia of Amangkurat III’s remains after his death in Ceylon is told with sorrow. The final essay by Penny Edwards is a fitting end, if not a conclusion, to the volume. Prince Myngoon, the son of a modernising Burmese king in the mid-nineteenth century, was an embodiment of the Burmese monarchy the British had just eradicated. Edwards calls him a trickster who outwitted the British as he darted from Rangoon to Pondicherry to Benares to Saigon. The prince was a subversive figure able to elude colonial administrators trying to keep track of him. His story is shaped by subterfuge that challenged colonial surveillance. Colonial power had its limits. The book is not divided into sections, a bold decision by the editor assisted by Maria Myutel. Cross references cite other essays within the volume to make comparisons and contrasts, but not in a false or jarring way. The book began life as a workshop, that familiar factory of academic production, and the authors apparently arrived soon enough at a consensus about what to discuss. Clare Anderson’s introduction is a masterful account of exile as a global phenomenon that ties the essays together, and the book’s striking cover depicts wayang figures on a Dutch ship that conveys movement, one of the volume’s themes. No surprise that the International Convention of Asian Scholars this year awarded Exile in Colonial Asia an accolade for the best edited volume. Readers of this book cannot fail to reflect on today’s accounts of refugees forced from their homelands by repression and civil war. History is present knowledge, and each author in his or her essay reaffirms human possibility in an inhumane world. Posted in Book Review, Books, Economics, Geo-Politics, History, Human Security, Social Studies. My praise for American liberal education notwithstanding, there is no shortage of criticisms of the system. Allan Bloom may be among the earliest and harshest, but you could have a small library compiling books, monographs, and essays critical of the system. A few years ago The New York Review of Books carried an article reviewing eight such books, including one co-written by the former President of Princeton University. The physical challenges brought on by the sheer massive size of these institutions aside, there are other even greater non-physical crises. For the most part they are hidden and consequently become entrenched and pervasive. Then there are the exorbitant and rising costs of college which defy rational explanations. They are then hidden by the ready availability of student loans. Those loans contribute to the problem as universities can now raise fees with impunity. Economists predict that the next financial crisis in America will be with student loans. 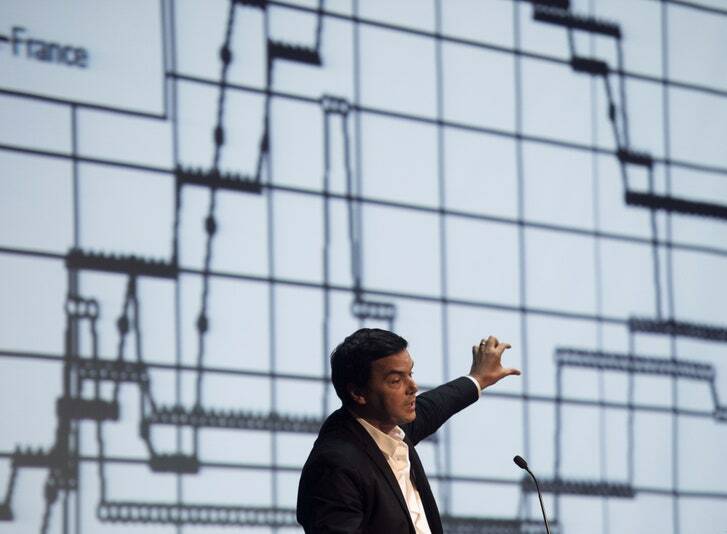 The scale and impact would be much bigger than the current  housing bust. Then there is the faculty. At many universities especially the top ones, professors are more akin to full-time researchers, with teaching a chore to be avoided at all costs. Professors brag about “protected time” from teaching, that being the new badge of honor! Teaching falls increasingly on over-worked adjunct (part-time) faculty and graduate students. More alarming, researchers at universities are mostly funded by industry or special interest groups, thus calling into question the integrity of their work. 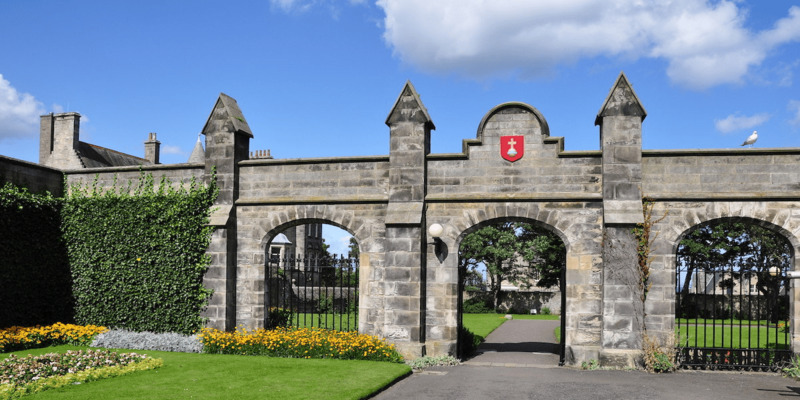 An alumnus of Harvard Business School related how the luminaries there were heaping praises on Royal Bank of Scotland’s management right up to the bank’s collapse. No surprise there as those professors were highly-paid consultants to the bank at the time. At the other end of the spectrum is the corrupting influence of lucrative collegiate sports. On many campuses, the highest paid and most influential individual is not the president or the brilliant professors, but the football coach! Those criticisms do not detract from the value of the American broad-based liberal education. It aims to produce “T” graduates, depth in one field with interest and general understanding across broad areas. In contrast, the Malaysian system we inherited from the British produces “I” graduates with narrowly focused skills and interests. The world now recognizes the value of a liberal education. China, India, and Japan (indeed the world) send their best students to America. These countries are also busy enticing American colleges to set up branch campuses in their home countries. The greatest concentration of American colleges is in the Middle East, specifically the Gulf States. Within a generation this will prove transformational for the Arab world. Already in Egypt, the most prestigious university (where the elite send their children and where the graduates are highly sought after) is not the centuries-old Al Azhar but the American University in Cairo, established less than a hundred years ago. Likewise, despite the turmoil in Lebanon, the American University in Beirut remains the crown jewel of Arab intellectual achievement. My concern is not with the American criticisms of its system, rather those coming from commentators and intellectuals of the developing world, specifically Malaysia. Those criticisms carry much more weight with local policymakers and parents. These critics belittle the achievements of Western education in producing competent engineers and scientists, denouncing them as mere “tools” of the capitalistic economy. That may well be, but by being those “tools” these graduates are serving and contributing to the good of society. When American universities produce competent engineers who design safe jet planes, the whole world benefits; likewise when the system produces scientists who discover vaccines against major killers like polio. Those graduates fit the Islamic definition of being soleh. I commend Dr. Syed Hussein’s take on the social sciences but when he tried to extend his observation to the natural sciences, he was on “thin ice,” to use an English metaphor. To him, my using that metaphor reflects this Western intellectual imperialism. Otherwise, he would presumably argue, I would use a different metaphor, like stepping on a banana peel. That would be more in tune with our tropical environment, quite apart from being more readily understood by those from the tropics. That aside, Dr. Syed Hussein’s observation carries considerable truth. 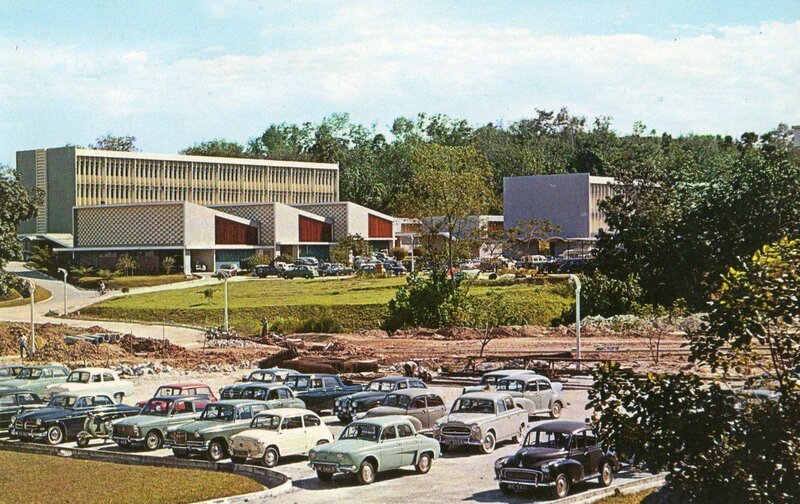 In the early years of the University of Malaya, its leaders and policymakers were more obsessed with replicating a jungle version of Oxford and Cambridge than making a university of Malaya, meaning one that would serve the specific needs of the local society. Far too often what goes on at local campuses bears little relevance to the surrounding reality. Malaysia desperately needs English teachers, yet not one local university has a Department of English. Likewise, rubber and tin are our two major resources, yet there is very little research into either commodity done on Malaysian campuses. The same goes for endemic local parasitic diseases like dengue. Dr. Syed Hussein was correct in citing the lack of creativity of students from developing countries who have had the benefit of superior education at Western universities. I once asked a Malaysian professor why he had not contributed any original published work since getting his doctorate from an Ivy League university. When he noted that I was not impressed with his ready excuse of heavy administrative burdens, he tried others, such as inadequate support facilities like libraries. He obviously had not heard of the Internet. Indeed, many journals and research institutions now give free membership (and thus access to publications and research findings) if you identify yourself as a scholar or faculty from the developing world. I agree with Dr. Syed Hussein when he chastised Third World graduates and scholars who have had the benefit of superior education afforded at leading Western universities for exhibiting “captive minds” and not demonstrating creativity when solving local problems. I disagree with him however, when he faulted those institutions and their faculties. Many of the innovations and creative thinking in the developing world today are the products of minds nurtured at leading Western universities. The good Dr. Syed Hussein was Exhibit One, as he had a Phd from the University of Amsterdam. ( https://en.wikipedia.org/wiki/Syed_Hussein_Alatas ).Those “captive minds” that Dr. Syed Hussein condemned are more likely to be the products of Third World universities including such leading ones as Al Azhar. I cannot think of any innovation, Islamic or otherwise, that emanates from that institution. Western secular, humanistic liberal education may have many faults but it is still superior to what is being offered elsewhere. That is a good enough reason for Malaysia to embrace it. Posted in Academic Freedom, Education, Intellectual Development, Liberalism and Open Society, Social Studies. Posted in Economic and Public Policy, Economics, Education, Geo-Economics, Governance, Holistic and Balanced Development, Knowledge, Macroeconomics, Poverty, Public Accountability, Social Studies.